A Crafty Cigarette | Who are ZANI? Positivity, inspiration and creativity are certainly sensational, coupled with perspiration and belief, anything is possible. The foundation of ZANI is built upon this doctrine. Launched as an online magazine in 2009, for counter and popular culture, as we believed the time was right to ‘have our say’ in a passionate and optimistic manner. With no bona fide business plan or any journalistic training, the journey has been remarkable. With a growing readership and winning the respect of well established artists, such as John Cooper Clarke and Martina Cole. 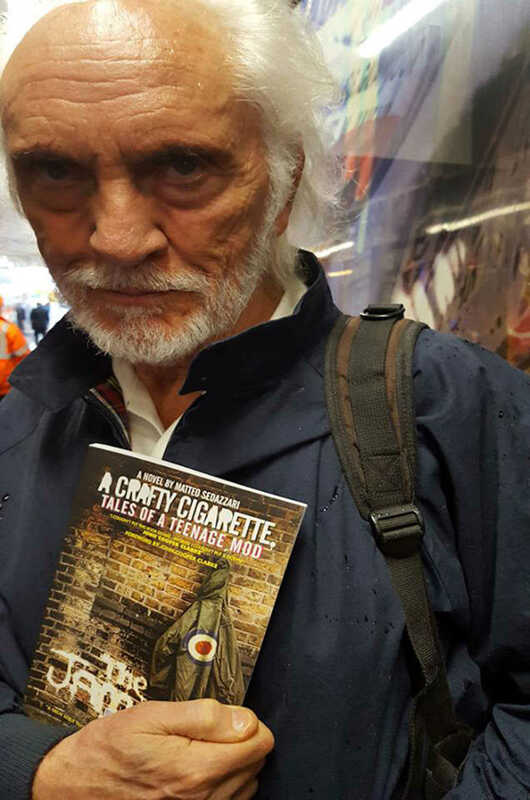 In May 2016, ZANI decided to publish its first book, A Crafty Cigarette – Tales of a Teenage Mod, after departing from the original publisher on amenable terms. Learning the basics of Social Media and PR, Crafty Cigarette has made two top ten lists with Amazon: Kindle version, Humour and Paperback, Contemporary Fiction. Winning mostly favourable reviews from the public, as Crafty Cigarette has touched them, rekindled memories, made them laugh and overall entertained them. ZANI believes the only way is up, that is because we are positive, inspiring, creative and we are not afraid to work a shift, as our belief is strong. We want our readers to feel the same, we believe art raises the soul, not to install self-doubt.